15 Weeks of lessons presented by Karen Marie the Salubrious RD from the LSU AgCenter Extension in Jefferson Parish. The final class and iPad assessment included the students tasting a pasta salad. 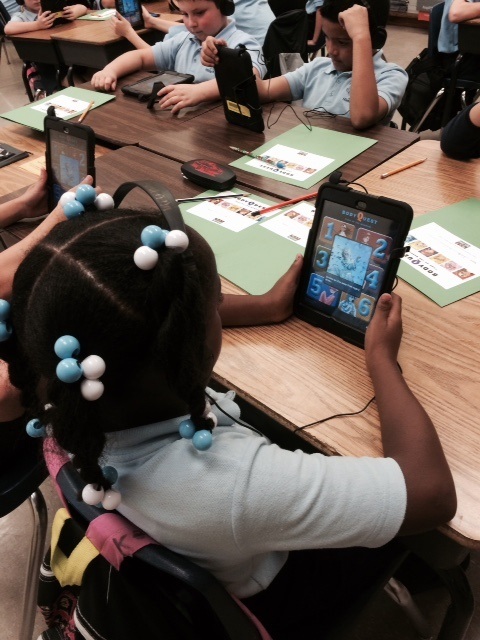 Third grade students at Hazel Park Elementary School in River Ridge, LA are learning about Veggies by tasting the Vegetables and using the iPads to learn through the Body Quest Warriors Apps. Given the health status of today’s youth and the national mandate of school wellness programs, nutrition education is needed now more than ever. Students practicing healthy eating habits and food choices have shown to score higher in school testing. A group of animated characters, the Body Quest Warriors, are leading the fight to prevent childhood obesity. The animé-style warriors do battle in a state-of-the-art campaign employing the latest technology, the Apple iPad app. The warriors challenge elementary youth to develop healthy behaviors (eating, physical activity, sleep hygiene, and family involvement) through this novel technology.Third grade students at Hazel Park Elementary School in River Ridge, LA are learning about Veggies by tasting the Vegetables and using the iPads to learn through the Body Quest Warriors Apps. The Body Quest curriculum is based on the Experiential Learning Model, which is often discussed in terms of discovery learning. In this learning model, children learn through reflection on their experiences. Though children need to have various experiences in order to learn, experience alone is not enough. Children’s learning is deepened when they are encouraged to share and process their experiences and to generalize and apply new understandings to their own lives. 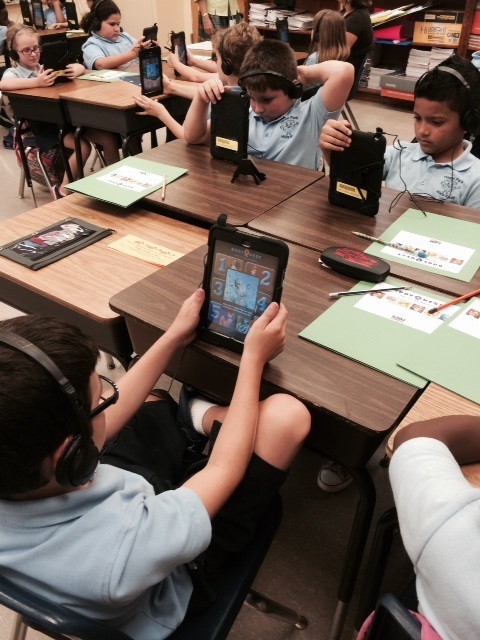 A class of 69 - 3rd Grade Students at Hazel Park Hilda Knoff Elementary School in Jefferson Parish is learning to eat a variety of Vegetables, by tasting them in a pasta salad, while completing the assessment on the iPads. Vegetables include: raw broccoli, spinach, green bell pepper and tomato. Grated Parmesan cheese, rainbow rotini pasta and salad dressing were offered along with the vegetables. And finally, students take home their learning to family members. This allows them another opportunity to personalize and share their experience with those closest to them. The youth increased their knowledge and reported to want to try more vegetables, drink more water and be physically active. Body Quest_V from Sarah McKnight on Vimeo.